That is the hardest thing of all. It is much harder to judge yourself than to judge others. If you succeed in judging yourself, it’s because you’re truly a wise man. 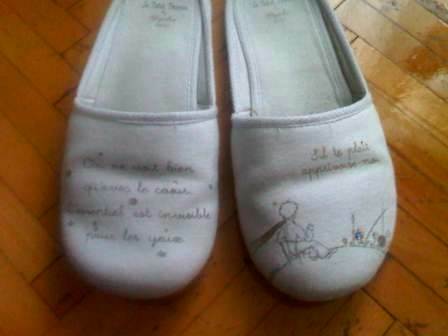 I can, however, tell you that The Little Prince is the first book I remember reading- ever. 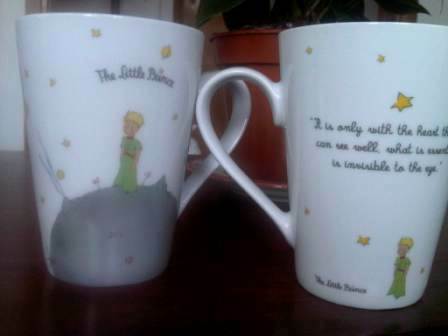 I must have been eight or nine, and I’m sure I’ve read some books, at home & at school, before reading The Little Prince since I was a curious child obsessed with stories (I would make my mother read the same books over and over again before bedtime). But The Little Prince must have made quite the impression on me for I could remember reading the first bit of the book, coming across the passage where the storyteller explains how he had drawn snakes and adults had mistaken them for hats and I was so excited by the story that I had to rush over to my mother’s room and read the passage to her. But I think there is a special place in our hearts for the first books we can remember reading. The very beginning of a fascinating, magical journey, of a life-long friendship. You’re lovely, but you’re empty,” he went on. “One couldn’t die for you. Of course an ordinary passerby would think my rose looked just like you. But my rose, all on her own, is more important than you altogether, since she’s the one I’ve watered. Since she’s the one I put under glass. Since she’s the one I sheltered behind a screen. Since she’s the one for whom I killed the caterpillars (except for two or three for butterflies). Since she’s the one I listened to when she complained, or when she boasted, or even sometimes when she said nothing at all. Since she’s my rose.